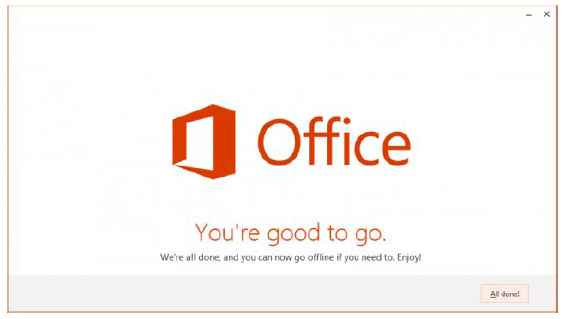 Important: Free Microsoft© Office 365 ProPlus is available only to employees and currently enrolled students. 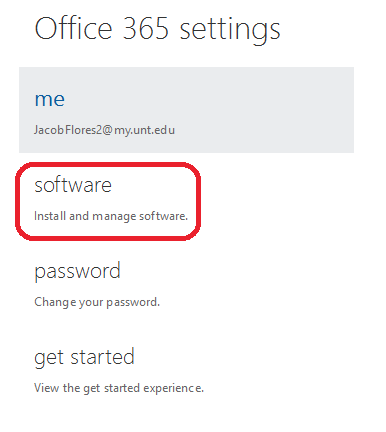 On this page, you will find the instructions for installing Office 365 on a desktop computer or mobile device. 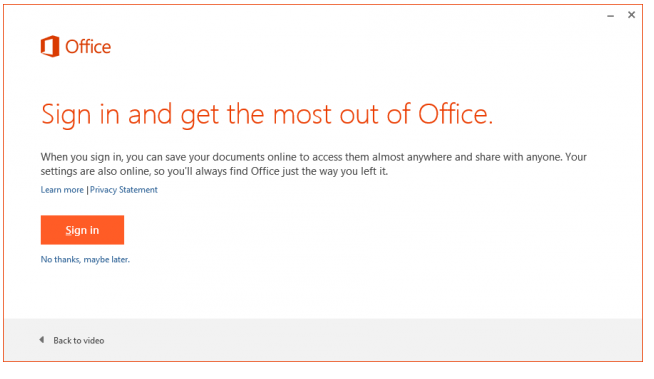 Who is eligible for the free version of Office 365 ProPlus? Currently enrolled UNT students. How long can it be used? Only while currently enrolled at UNT as a student – not after graduation. This service is available only to currently enrolled UNT students. What is included with Office 365 ProPlus? 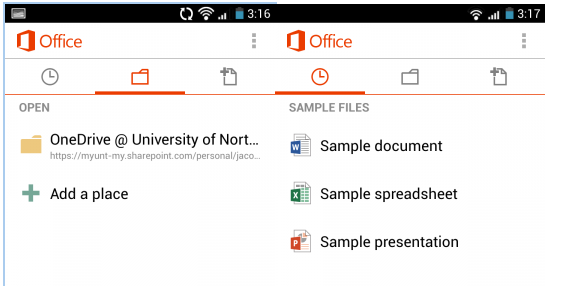 You will be able to use MS Office on up to five Windows or Mac machines and use MS Office Mobile on up to five mobile devices. How does this differ from EagleConnect’s OneDrive Office Web Apps that are already available? The OneDrive Office Web Apps are great solution for managing your MS Office documents on the go, since they may be accessed and modified anywhere you have Internet access and a web browser. 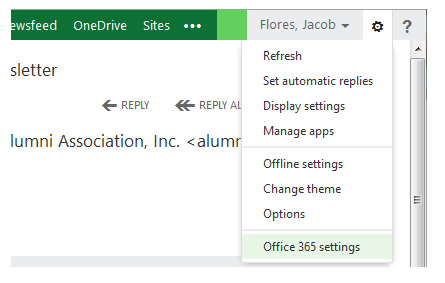 The applications included with MS Office 365 ProPlus are the full, separate applications and can be used “offline,” such as when using the software on a desktop or laptop. Install the suite, sign in with your EagleConnect account. That's it, you are ready to go! Check out Microsoft® Office 365 ProPlus FAQ for more information. How do I start using Office 365 ProPlus? 3) Select “software” from the menu on the left. 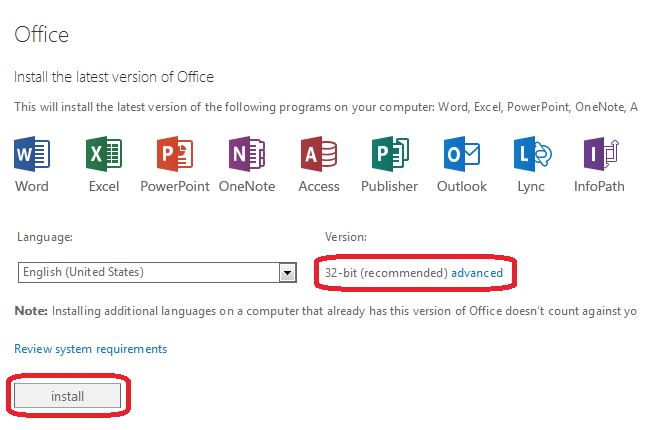 4) It is best to go with the “recommended” version of Office. For instance, Windows users may be using a 64-bit operating system, but most applications and plugins that integrate with Microsoft Office will be built for the 32-bit version of office. You may select an alternate version if you prefer, however, it is recommended that only advanced users venture into this territory. 5) Select “install” to download the installer for your Office application. 6) Open this downloaded file to start the install. 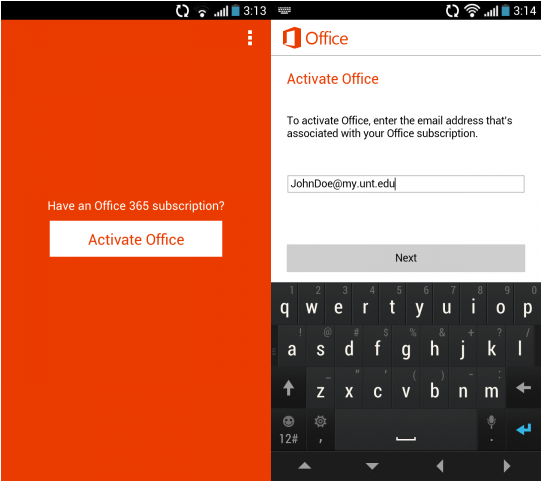 8) While it is installing, it will offer you the opportunity to sign into your Office 365 suite. 11) At the next page, enter your password and select “Sign in.” At this point, the installer will offer to give you a walk-through of Office 365 or skip to the end where you will be presented with a larger progress indicating the status of your Office install. Once you see the screen below, you are all done and ready to use the software! 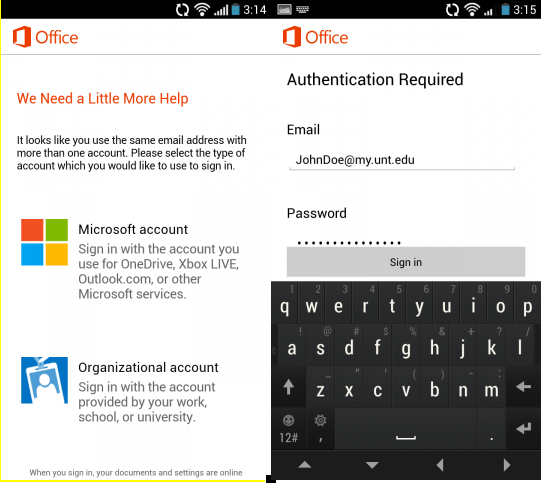 1) Download Microsoft’s “Office Mobile” application from the app store. 3) Select “Activate Office” and enter your EagleConnect ID, usually FirstLast@my.unt.edu, in the username field. 5) Once you sign in, you should be all set! Having trouble downloading or installing Office 365 ProPlus? For the desktop installation, please be sure you don’t lose internet access or restart your computer during the install. Office 365 installation error “Something went wrong”. 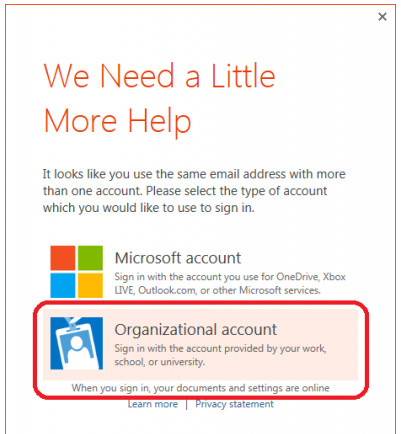 General troubleshooting for installing Office 365. See if you can log into your EagleConnect account. If you can’t log into EagleConnect, ensure you can log into the Account Management System with your EUID and password. While you are there, ensure you are using the correct EagleConnect ID.